It can be hard to imagine that behind the refined image ballet dancers are often suffering from, and vulnerable to, a range of foot conditions. The constant pounding of your feet on hard surfaces and long hours spent exercising, training and performing, put your feet under immense pressure and strain. Regardless of age and gender, your feet are vital for your dance performance. Sesamoiditis: Sesamoiditis is a common ailment of the plantar forefoot, causing pain in the ball of the foot specifically under the big toe joint. Repetitive toe movements such as spinning and tiptoeing can cause excessive pressure under the big toe joint. If left untreated and repetitive movement continues it can lead to sesamoid bone fractures. Metatarsalgia: Metatarsalgia is a term used to describe pain and inflammation experienced in the forefoot. In dancers, the balls of the feet are often painful due to the jumping movements involved with dancing, landing dancers on the balls of their feet absorbing all the impact with little support from ballet shoes. Plantar Fasciitis (Heel Pain): The fibrous band of tissue (fascia) becomes inflamed and painful from the continued pressure on the heel, especially on hard surfaces. It can cause sharp pain and discomfort in the morning and after dancing. Blisters: Probably the most common condition amongst ballet dancers, blisters are often caused by skin rubbing against poor fitting dance shoes. The friction causes a small painful pocket of fluid which should not be irritated in case of infection. The spinning, tiptoeing and twisting movements are an inevitable part of ballet dancing, as are the foot injuries caused by such movements. At My FootDr we treat athletes at all professional levels to help with career longevity or simply keeping a budding ballerina on their toes. Our Podiatrist will do a full assessment of the foot and lower leg to determine the cause of foot conditions, and advise on the prevention of injuries. In some cases, a dancer may require wearing custom-made orthotics in their day-to-day shoes to provide support and comfort to the foot. Orthotics can relieve and minimise symptoms from plantar fasciitis and sesamoiditis during non-dance hours, specifically helping patients with biomechanical abnormalities. Simple padding can be added to ballet shoes to relieve the feet from total absorption during landing movements. 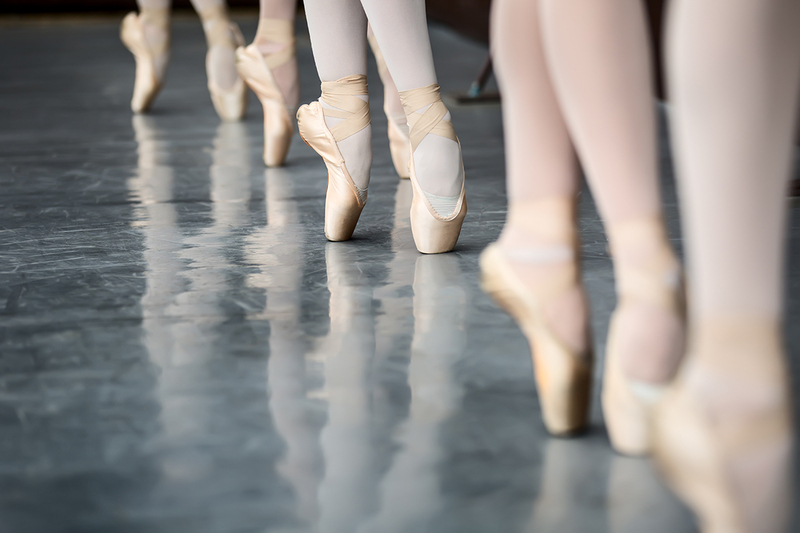 Poorly fitting ballet shoes will aggravate blisters and cause discomfort during dancing. A Podiatrist can treat symptoms and provide recommendations on footwear to relieve and minimise recurrence of blisters. Although it is not something a dancer wants to hear, sometimes short-term resting can be the best policy to avoid the worsening of injury. This can be discussed with your Podiatrist who will identify the best treatment plan to allow you to continue your love of dance. Book an appointment today online or call 1800 FOOTDR. Ask about our NO GAP appointments for children under 18.